Mary Gifford was the director of leadership development at the Mackinac Center for Public Policy. Prior to joining the Mackinac Center, Gifford directed the Center for Market-Based Education at the Goldwater Institute, a Phoenix-based public policy research organization. 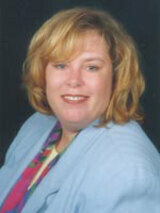 Mary also served on the Arizona State Board for Charter Schools as its vice president for three years. Gifford is among the country's experts in charter school operation and policy. In addition to charter schools, Gifford has published papers and conducted research on desegregation, class size, school facility financing, value-added assessment, school finance reform, ethnicity of schools of choice, teacher issues and tuition tax credits. Gifford holds master's degrees in education and public administration and a bachelor of art's degree in political science. How Does the MEAP Measure Up?